Our goal is to make your portable toilet rental in Buffalo as simple as possible. Every call is answered by a friendly and knowledgeable expert to assist you in coordinating your project, answer any questions you may have, and schedule a convenient time for delivery and pick up – simple. Whether you are a homeowner renting for the first time or an event coordinator who needs hundreds of units, we make the same promise to you – we’ll deliver your portable toilets on time, pick them up promptly upon request, and do it for the best prices in Buffalo. Pricing for porta potties varies based on how many you’ll need, how long you’ll need them, and how often they’ll need to be cleaned out. So the best thing to do is to give our team a call for free price quote. If you have any questions, would like a price quote, or want to schedule a porta potty delivery give us a call at 716-261-3326. Whether your project is large or small we have the right solution for your portable restroom needs. 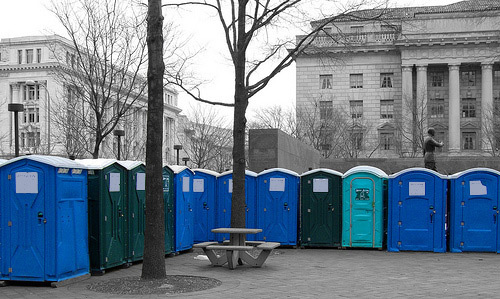 Buffalo Porta Potty Rental Pros offers a wide variety of portable toilet solutions, including several types of portable toilets and hand wash sinks for special events and construction projects. From the first call, to your initial order, then to the delivery and pick-up we ensure you always receive prompt attention and expert advice. Our team has one goal – to make your experience as simple and hassle free as possible. We can assist you with any questions or concerns you might have. Tell us what type of event you need portable restroom facilities for, when you need them delivered in the Buffalo area, and how long you will need them. We’ll help you determine the right type and number of units you need to make sure none of your guests have the “hold-it” experience. We are fully licensed and insured. All of our delivery trucks are professionally certified to haul portable toilets. Our professional installers can place your units at any desired location so long as there is sufficient room for the trucks to access the location. Our delivery team prides itself on cleanliness, timeliness, and delivering portable toilets that exceed all safety and sanitation standards. We provide the most modern, state-of-the-art equipment in the industry. We have dedicated ourselves to providing our customers with the cleanest and most advanced portable restroom facilities available. 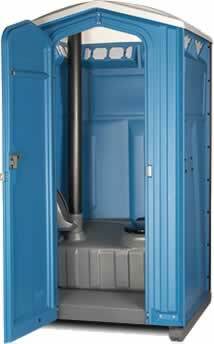 We offer both full service and basic portable toilet units. If a basic portable toilet is not sufficient we have the added luxury of hand washing stations. These stations are inexpensive yet offer added sanitation for guests. With fresh and clean water tanks, and anti-bacterial soap, along with paper drying towels, our hand washing stations exceed all safety and sanitation standards. If you have a small weekend event like a barbecue, function, festival, or parade we have the units to satisfy your needs. We will drop off your units on Friday and pick them up on Monday. At the other extreme we also have the resources and personnel necessary to provide units for large events. Whether you need portable toilets for 1000 or 100,000 people, we have more than enough units to satisfy your guests’ restroom needs. If you need service for more an extended period of time, for example a construction project lasting weeks or even months, we can rent out our units for any length of time. We service our porta potties on a weekly basis by emptying and sanitizing them. Don’t forget we are happy to offer free straightforward price quotes for any portable toilet job. All you need to do is give us a call at 716-261-3326, let us know what you’re planning, how many people will be using the facilities, and how long you’ll need them.